At the end of the day, it’s always easier to skip the gym. You’re tired, you’re hungry and sweatpants (at home) sound more much appealing than sweating it out (anywhere). I totally know. But, consistency is the determining factor when it comes to increasing and maintaining your fitness. Setting yourself up for success starts at the office. So, stock your desk with extra gear, travel-sized products and pre-packaged snacks to break the start-and-stop pattern that’s derailing your evening exercise routine. 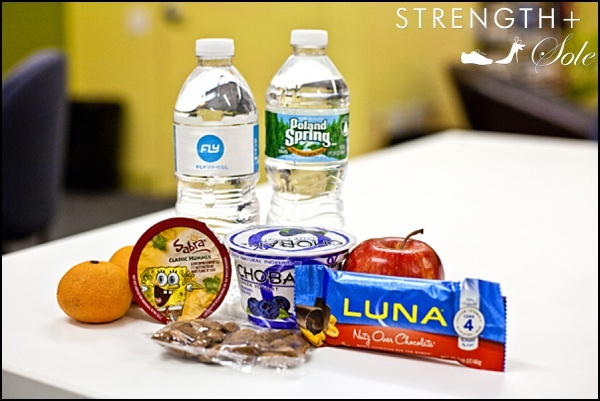 Here, my checklist of essentials to keep you going, long after the work day is done. 2. Headband & hairspray: Slip on a stretchy headband, flip your head over and spray, flip back up and tie your hair in a pony with a little extra lift; I wear lululemon and Sparkly Soul, depending on my mood (STRENGTH+Sole promise: how put together you feel is directly linked to your desire to kill it at the gym). 3. 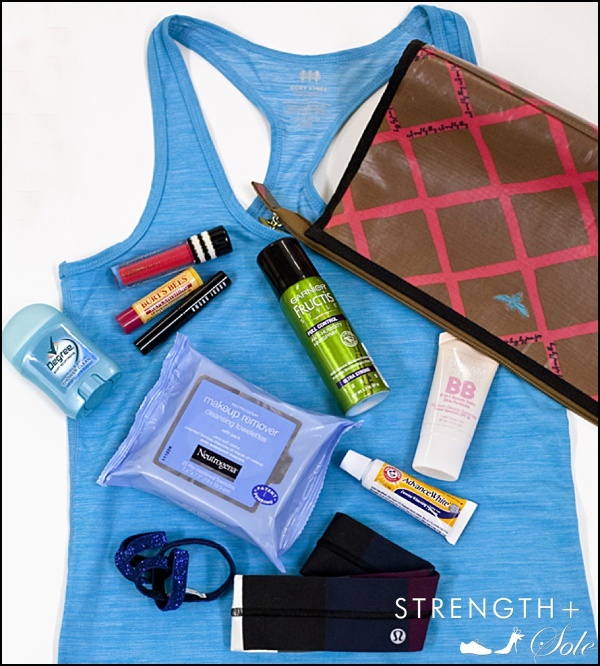 Facial wipes: Try Neutrogena’s Makeup Remover resealable pack–won’t dry out before your next workout. Photos by Roopa Bhopale, shot at Hive at 55, New York City. So much to think about just to be skinny I want different genes !! !